Everyone else is sharing their beautifully dressed littles with gorgeous Easter baskets. Our Easter festivities went in a bit of a different direction…. Finn is almost twelve and not interested in Easter baskets and egg hunts. Thadd and Beckett are, but neither are big fans of boiled eggs and I’d rather not have tons of candy around. The solution I’ve found that keeps everyone happy is hiding cascarones. 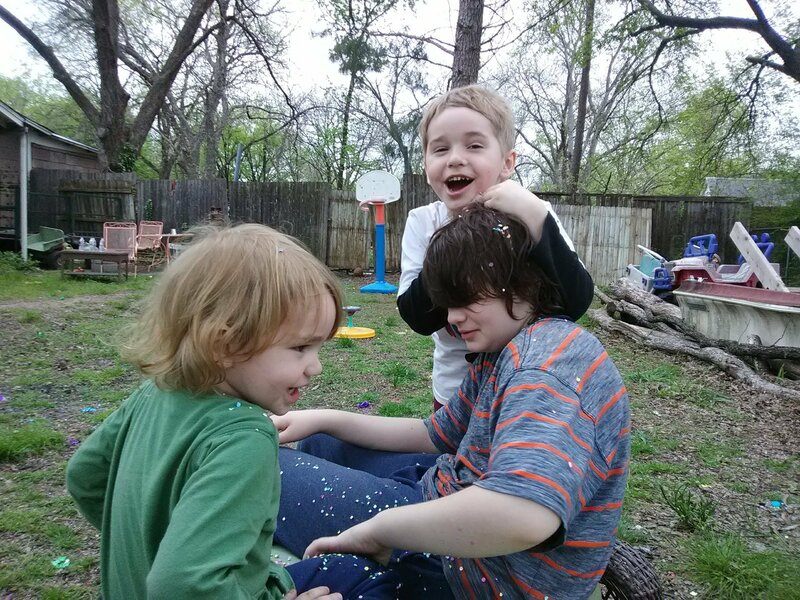 It’s not quite traditional, but smashing confetti eggs on your brother is something even preteens can enjoy.